What is order and delivery management? You have a process to get reusable assets to end users and back again. This includes many steps from order entry, picking, staging, loading, delivery, pickup, unloading, truck reconciliation, sorting and checking for damage. 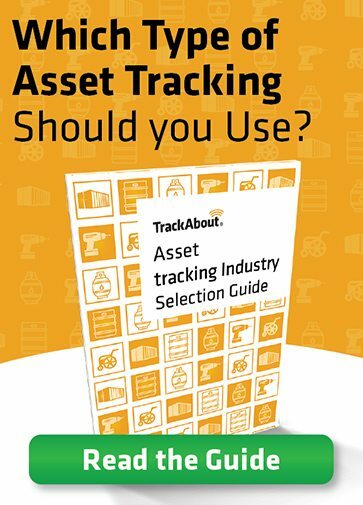 TrackAbout can help in each of these steps or, at a minimum, just when assets are delivered and picked up. We can work with an existing order management system or can be used stand-alone. No matter at what level you start, you will have much greater control of your assets with order and delivery management, and you can grow over time to have an entirely paperless process. How does order and delivery management work? Order entry is the process of creating ‘orders’ or requests for the delivery and/or pickup of reusable assets and/or consumables. If you already have a system for order entry, you will likely keep using it. If you do not have a system, you can do order entry from inside of TrackAbout. Picking is the process of selecting assets or consumables to use for orders. You can do this manually, inside of another system or inside of TrackAbout. This is the process for getting assets and consumables loaded onto trucks for delivery. By scanning individual assets onto trucks you can create a manifest or other required paperwork for what was loaded on the truck. In this step you deliver assets and consumables to your customer or internal location. In this step your people will scan all of the assets being delivered/picked up and can also confirm the quantity of any consumables being delivered. The customer can sign on the mobile device screen to accept the delivery. As with all mobile actions, we will capture a timestamp, who did the scanning and GPS coordinates. Most clients already have a paper process in place and can start simply by adding scanning to this existing paper process. That is an easy way to get started. When you are ready, TrackAbout supports an entirely paperless process where the orders are stored in the mobile device and the driver does not carry any paperwork. A confirmation document can be emailed or printed on a mobile printer at the end of a delivery/pickup. In these steps, all of the assets remaining on the truck are scanned when the truck returns. This is compared to what was loaded, delivered and picked up. This gives a great double-check for all of the scanning that has taken place on this trip. This step greatly improves the accuracy of the total system. Now that you have scanned assets to your customers and have captured electronic proof of delivery, TrackAbout allows you to share this information with your customers. They can be given access to see the proof of delivery as well as reports on the assets you have delivered to them including how long they have been sitting at the customer. A lot of mistakes can happen during a delivery. We did a study and found that 3% of all delivery/return actions contained at least one mistake when completed solely on paper. By introducing TrackAbout Proof of Delivery with Truck Reconciliation all of these mistakes were caught and fixed before they turned into problems with your customers. Even with a tracking system, people are not perfect. They will make mistakes. They will forget to scan things, scan some things twice or scan the wrong things. Unlike other systems, TrackAbout’s order and delivery software will detect and recover when things go wrong.